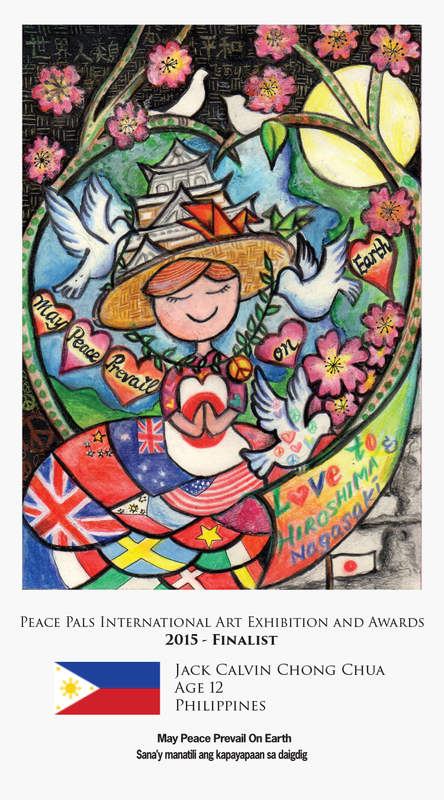 Peace Pals International along with The World Peace Prayer Society traveled to Hiroshima and Nagasaki in remembrance of the 70th anniversary of the atomic bomb. 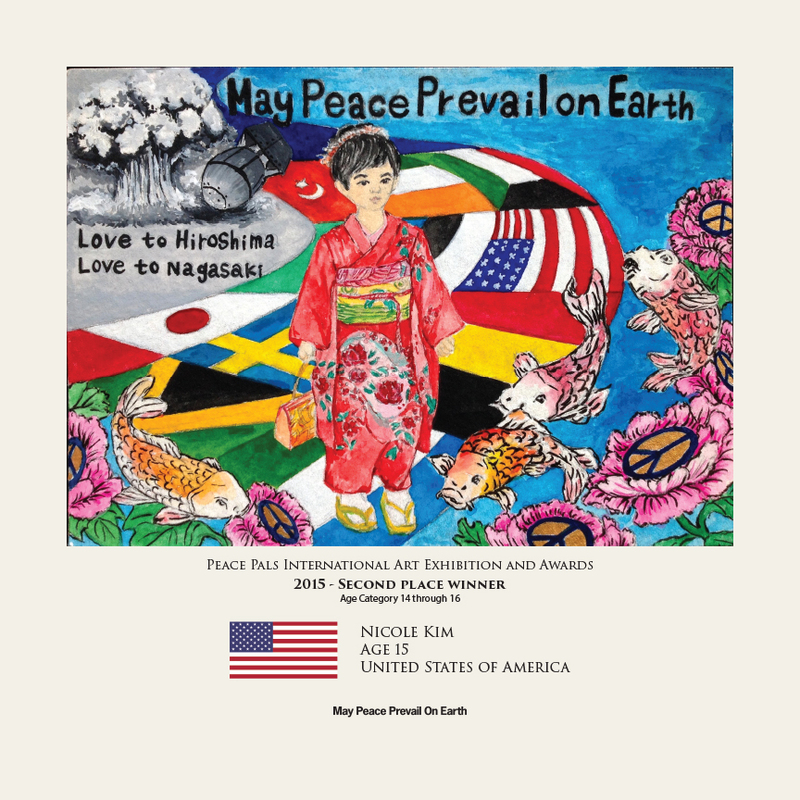 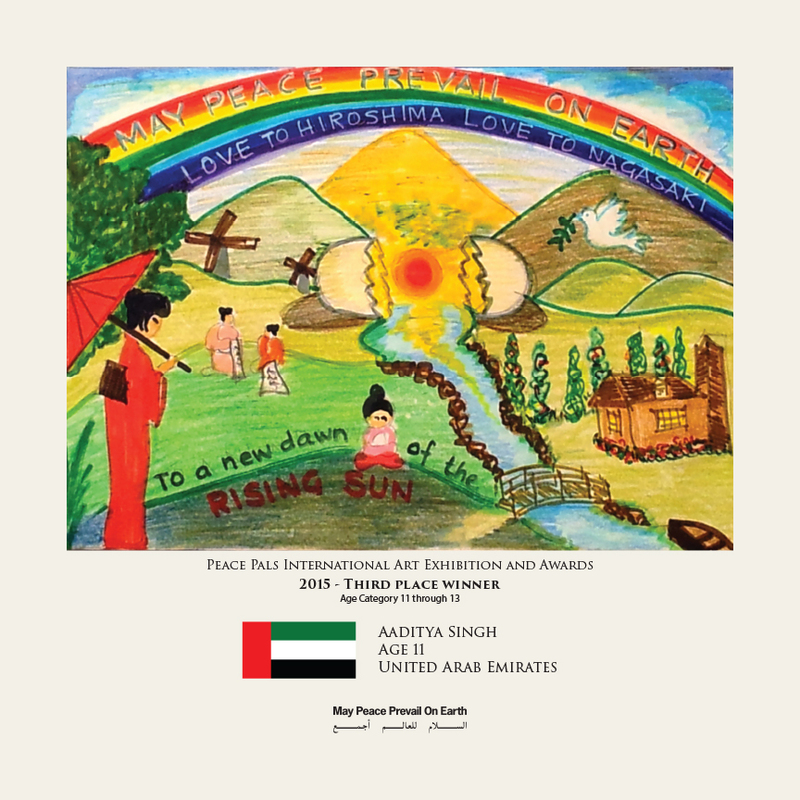 The events were broadcast live on the internet and featured the ringing of the Peace Bell, a web Conference, The World Peace Flag Ceremony and the Peace Pals Art Awards Ceremony with the theme, Love to Hiroshima Love to Nagasaki. 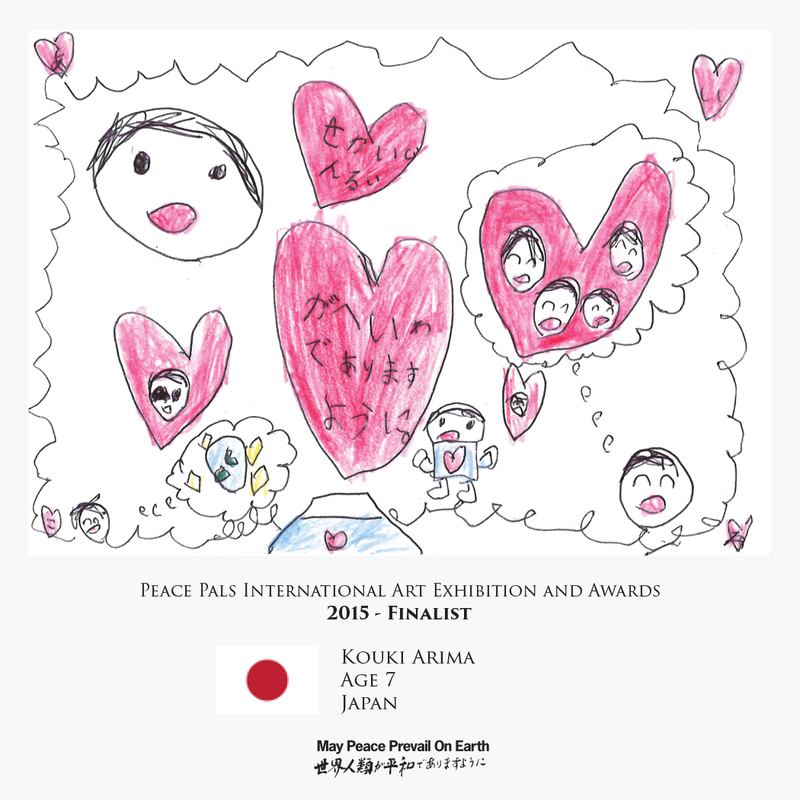 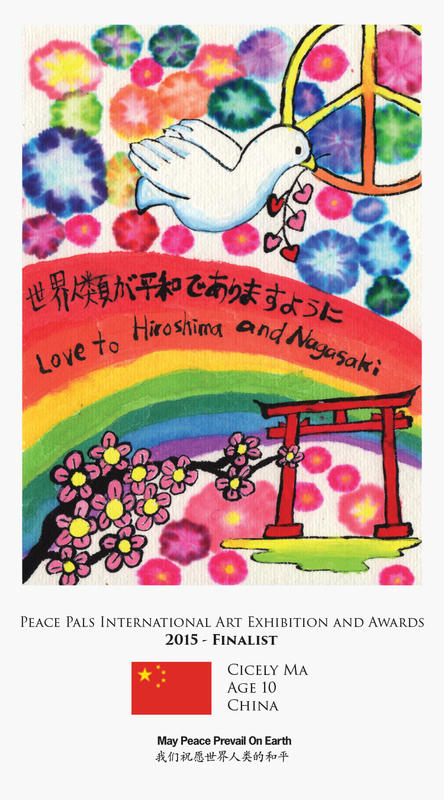 The Peace Pals Winners were announced live from Hiroshima Peace Park on August 6th, 2015. 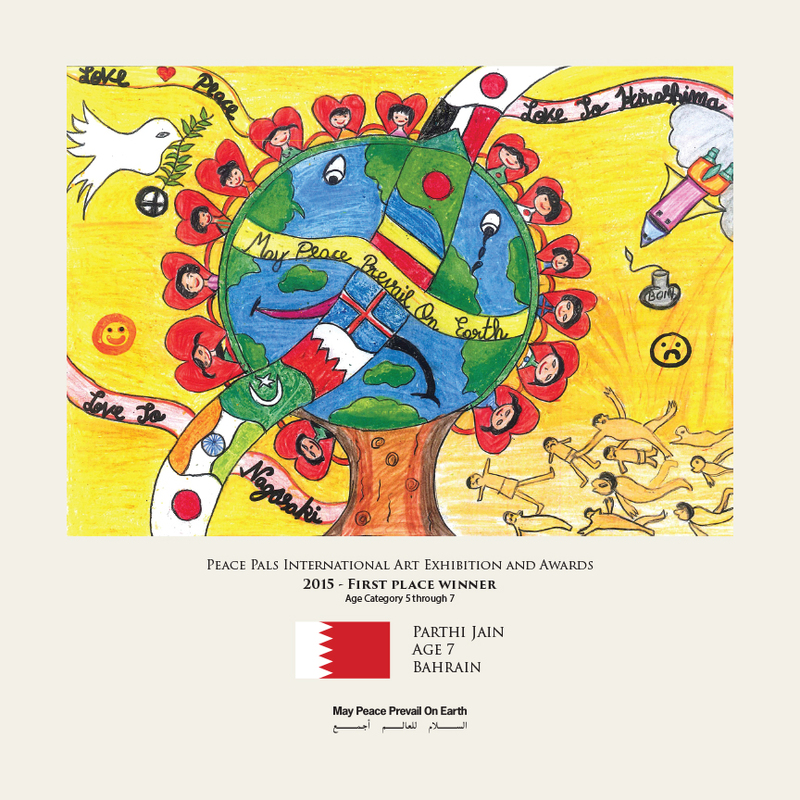 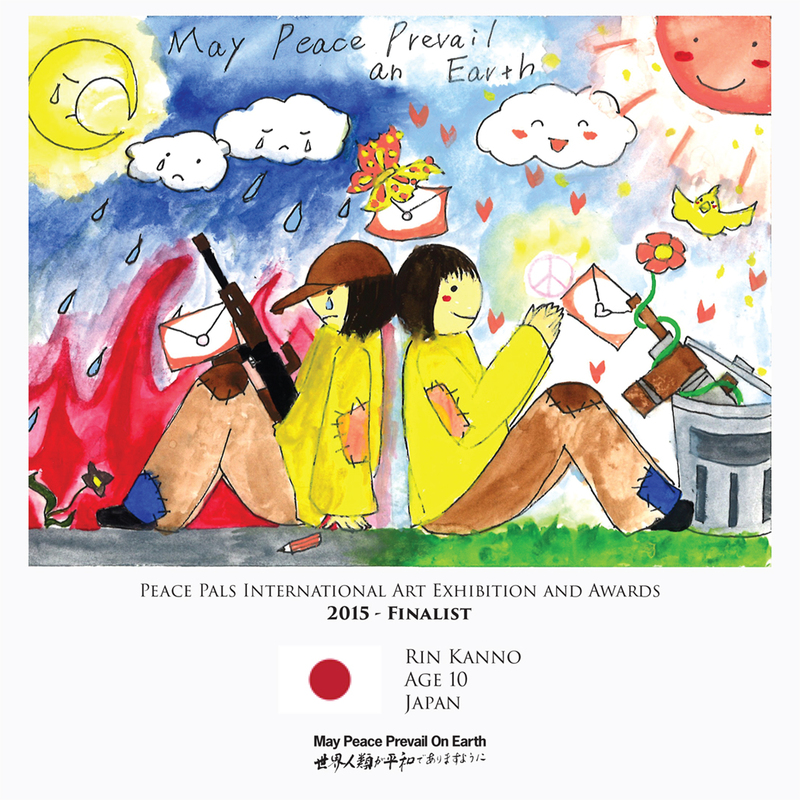 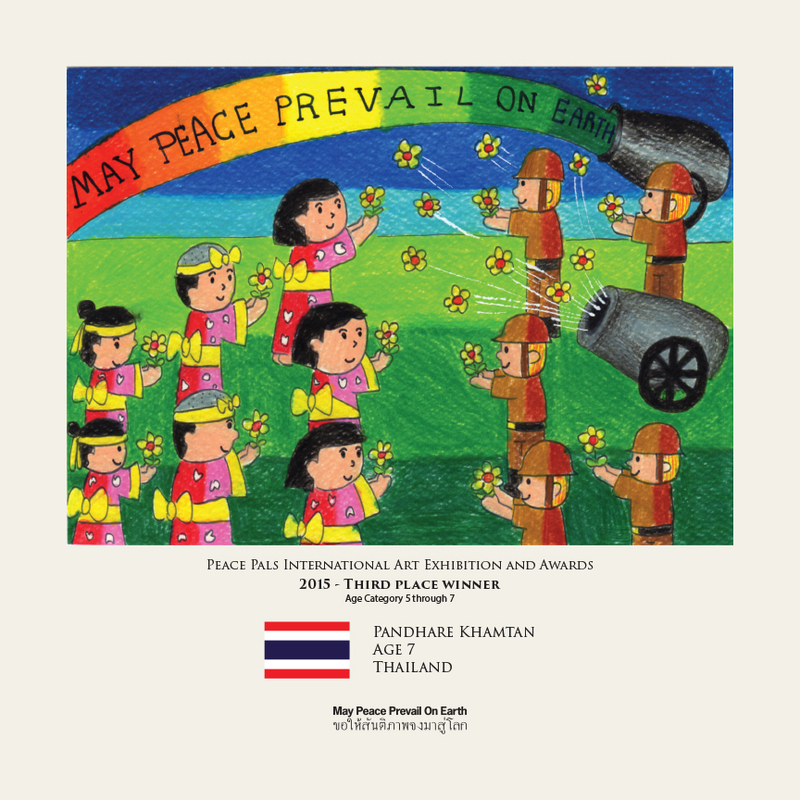 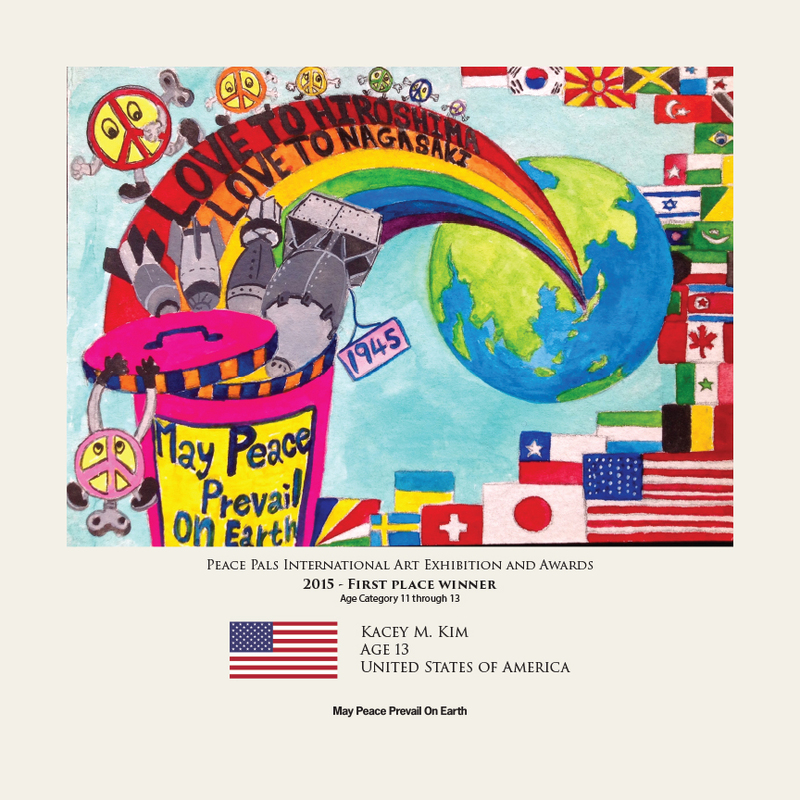 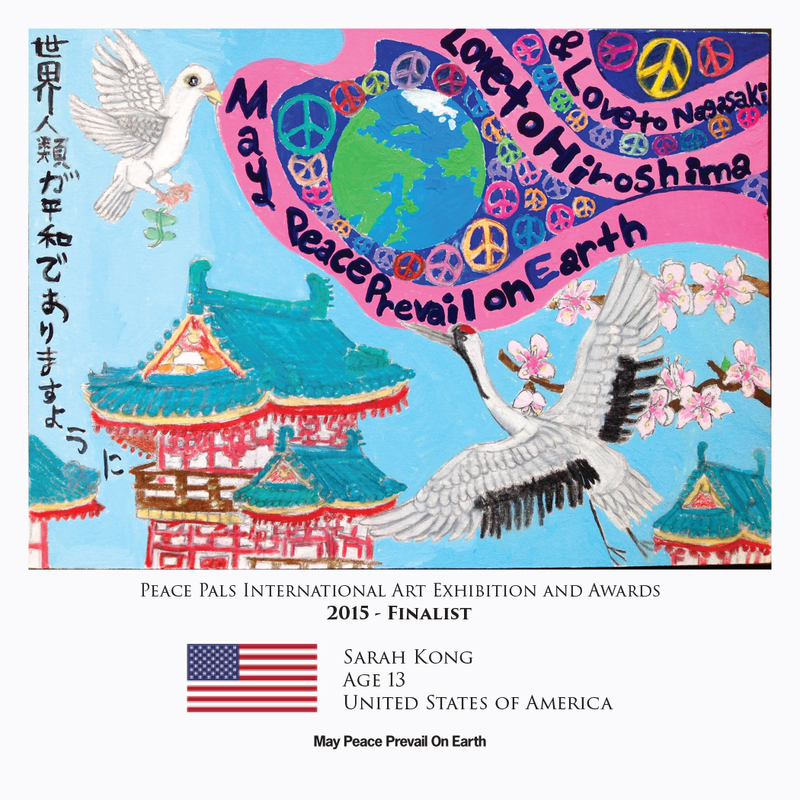 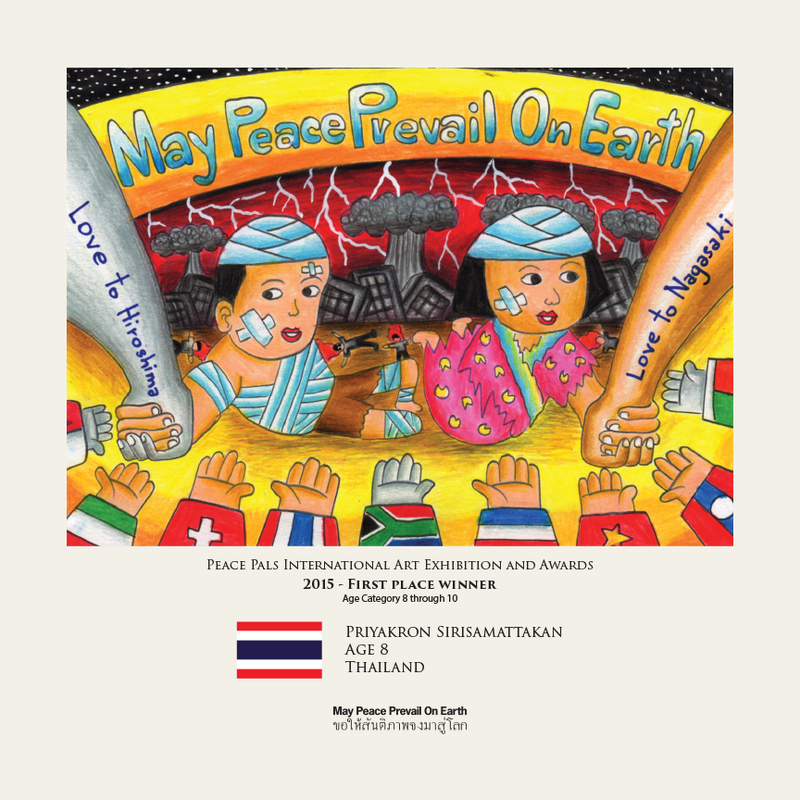 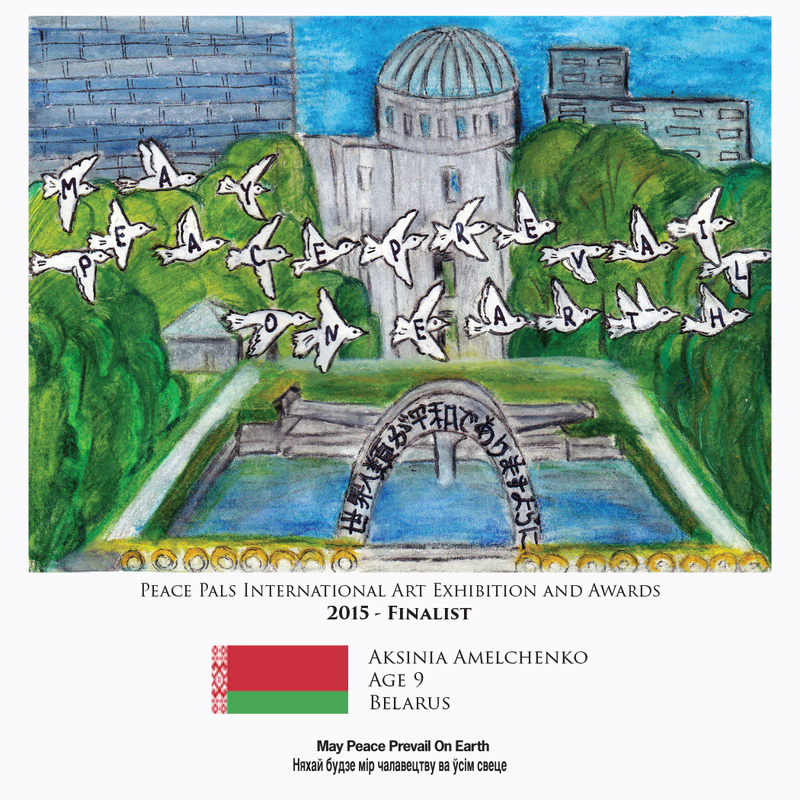 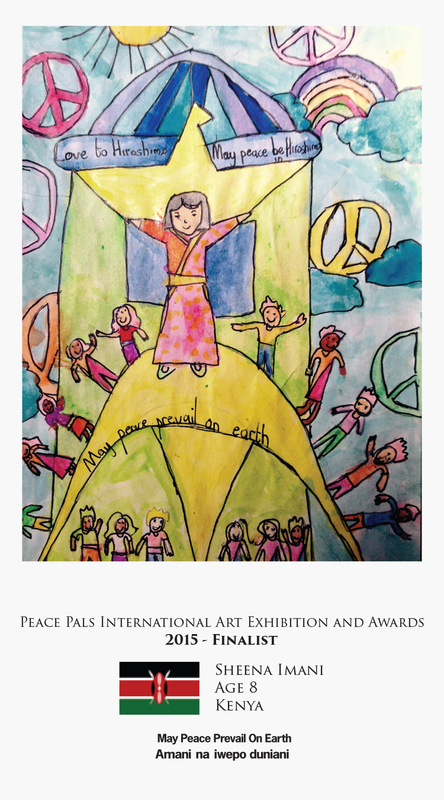 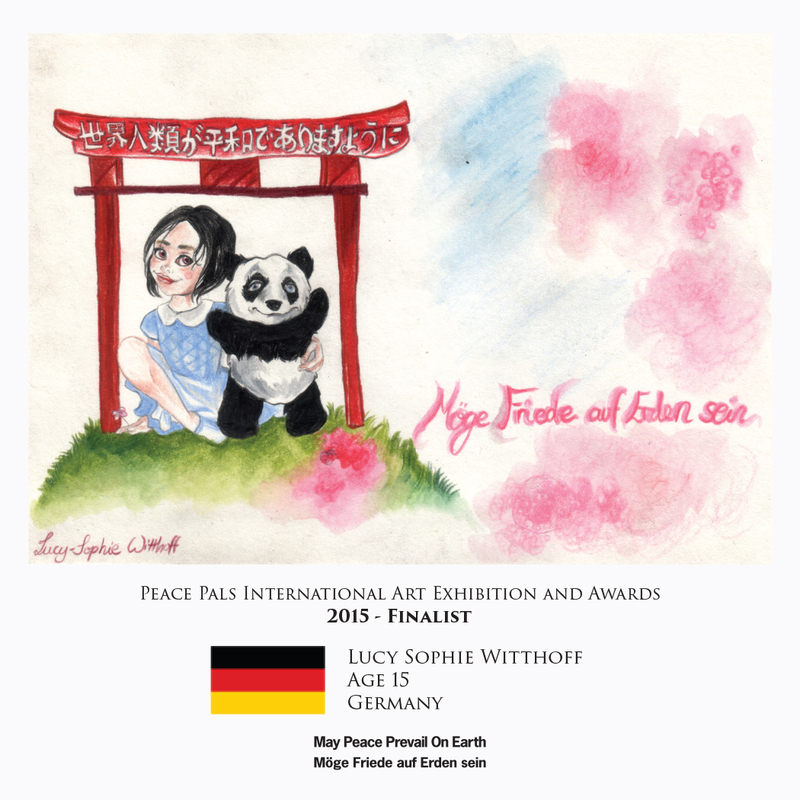 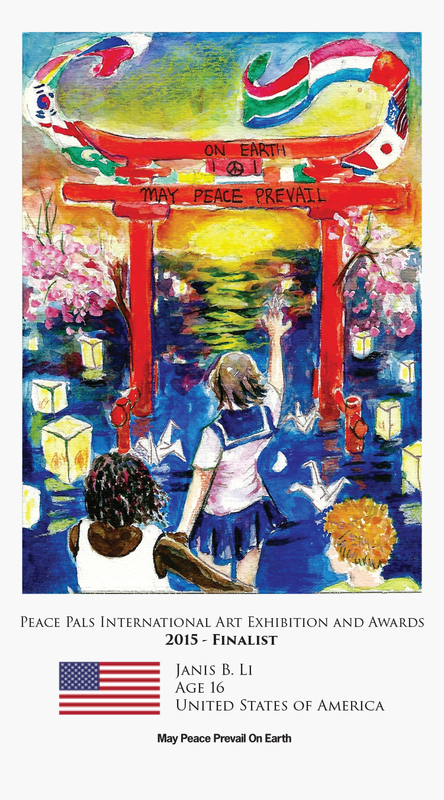 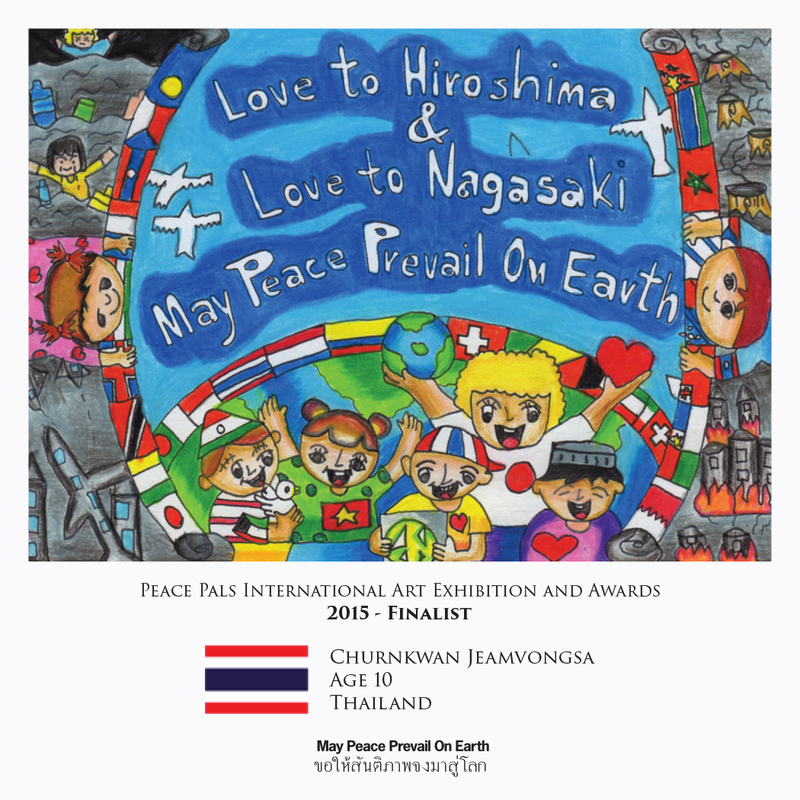 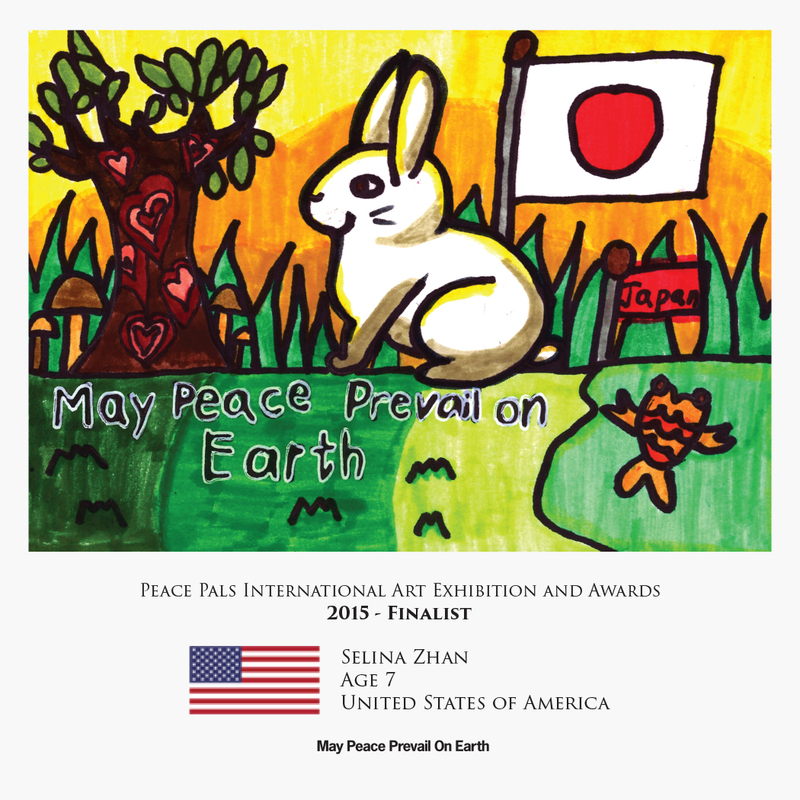 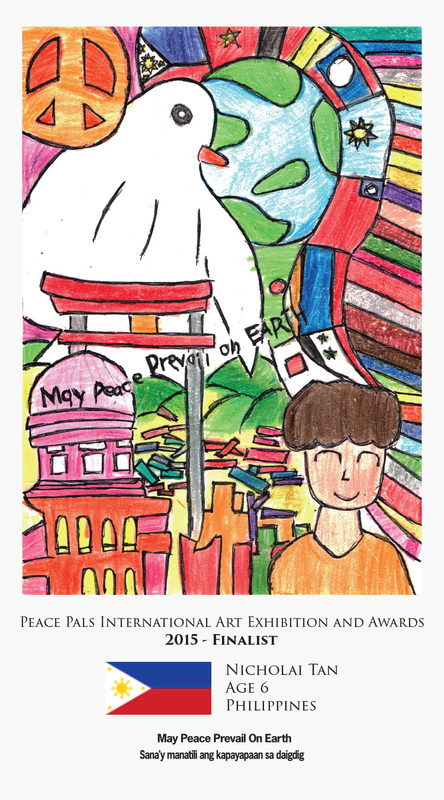 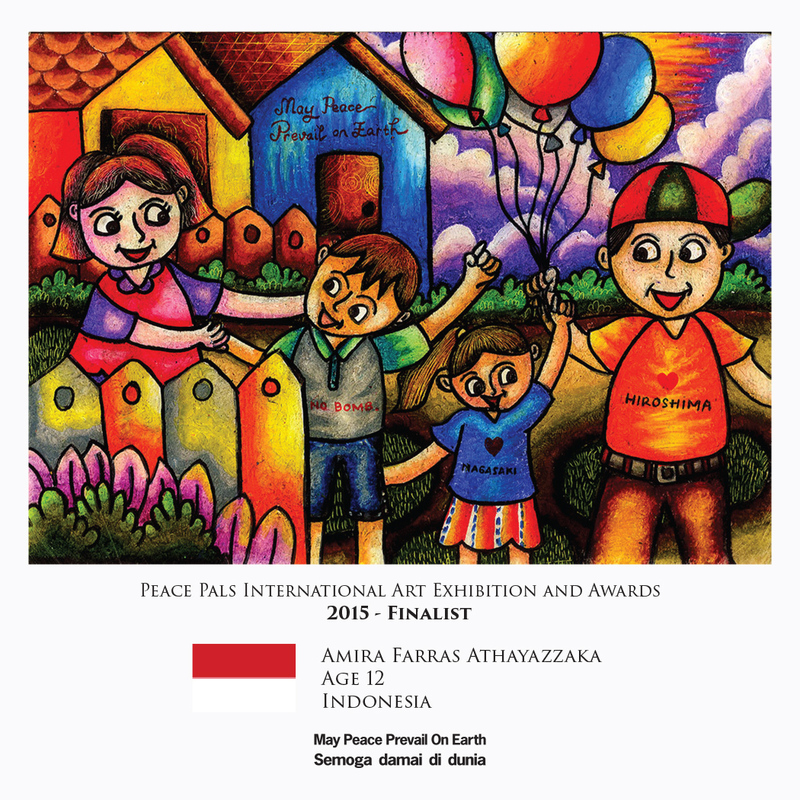 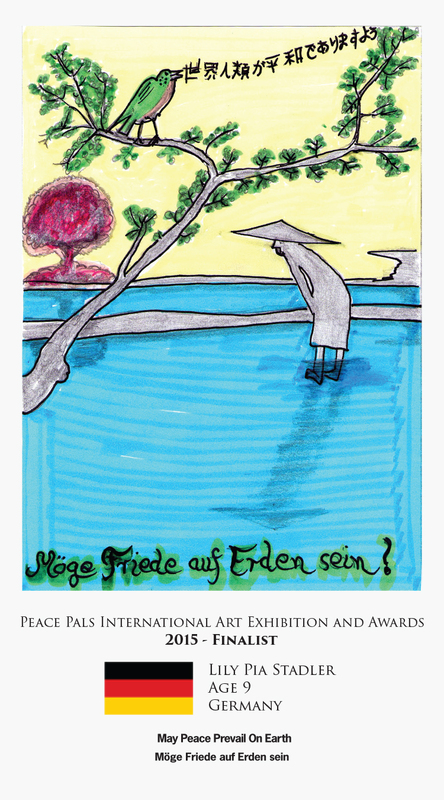 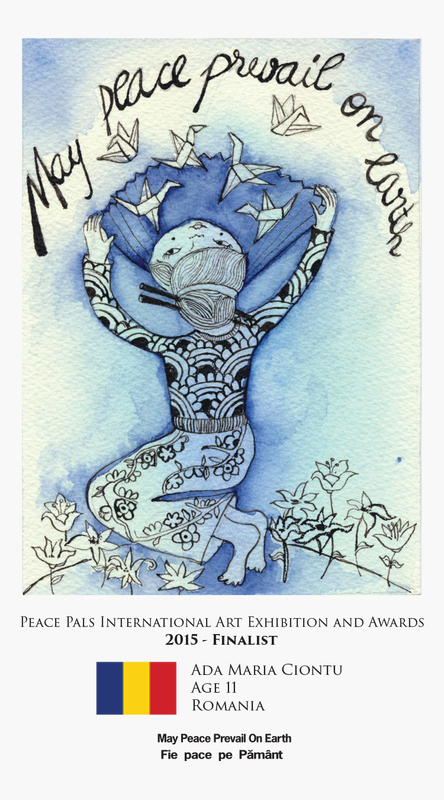 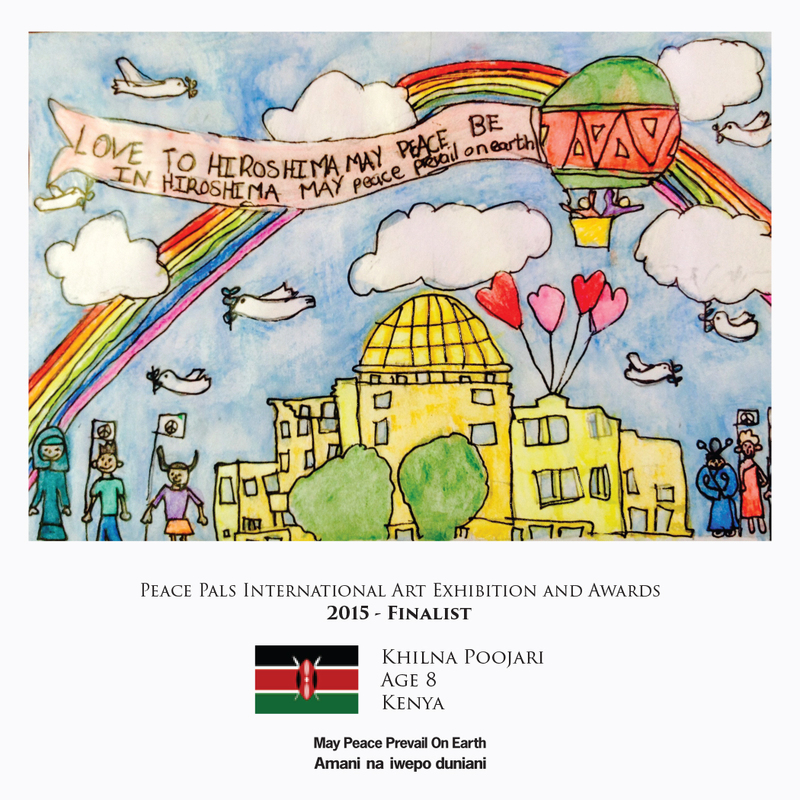 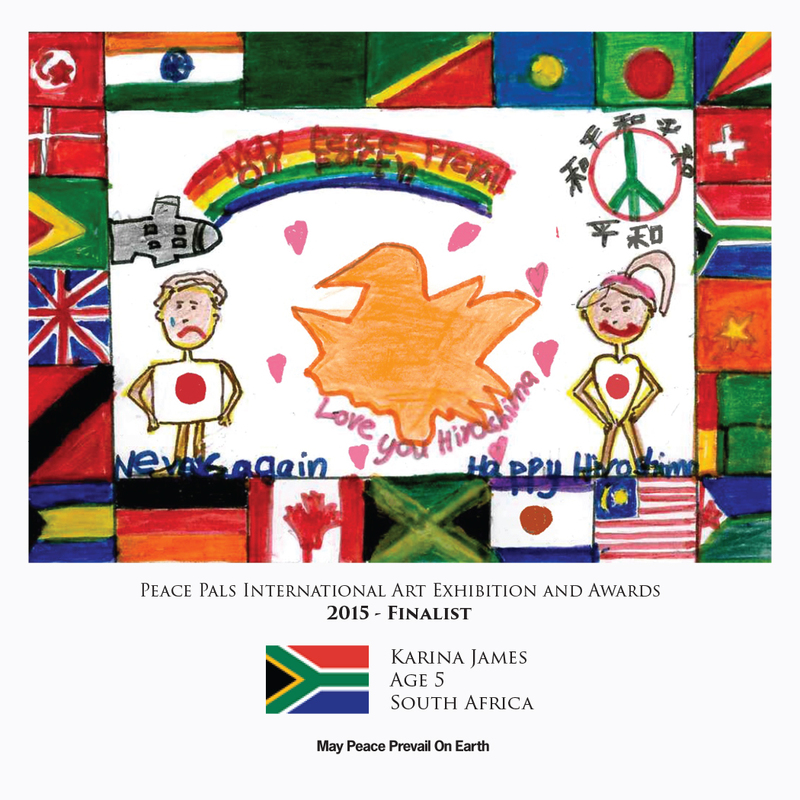 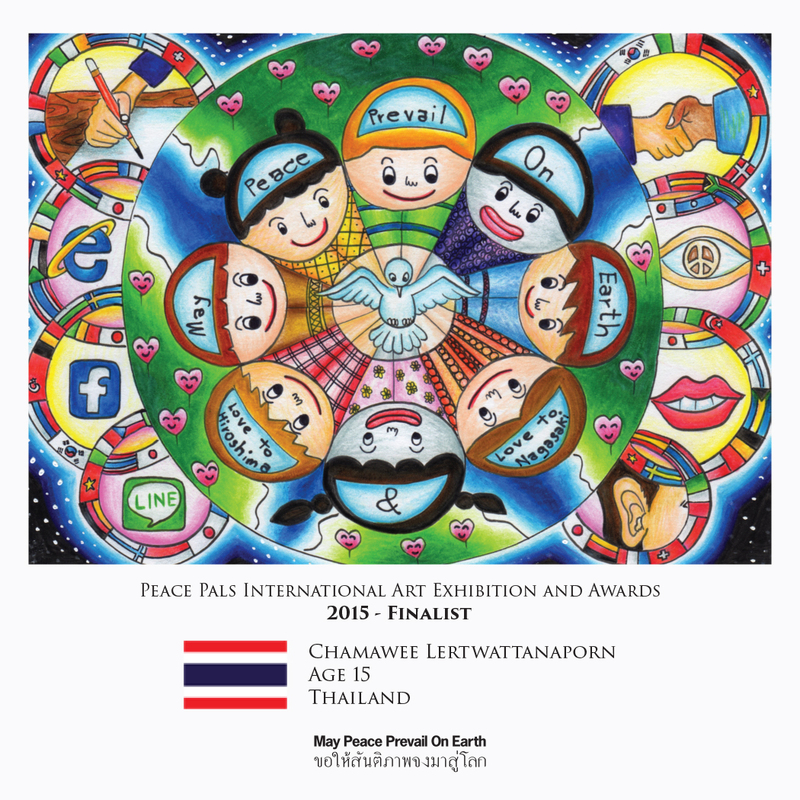 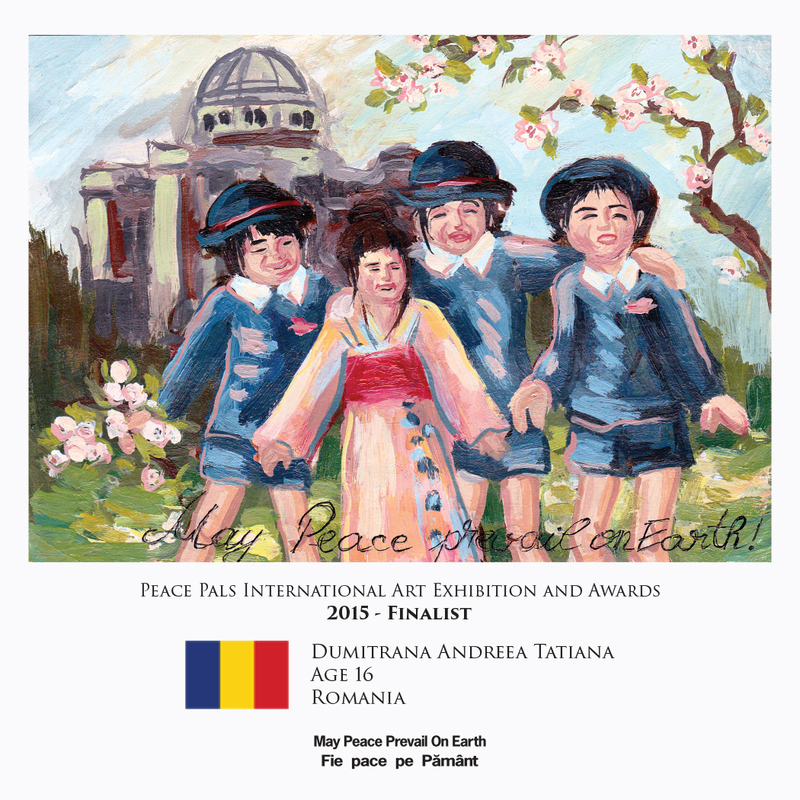 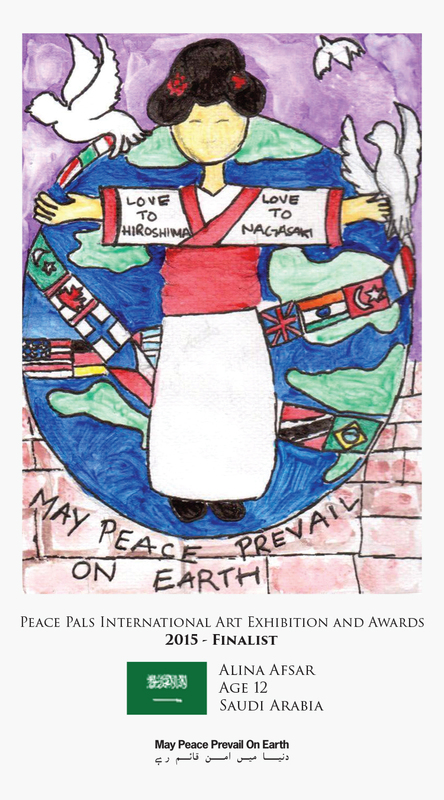 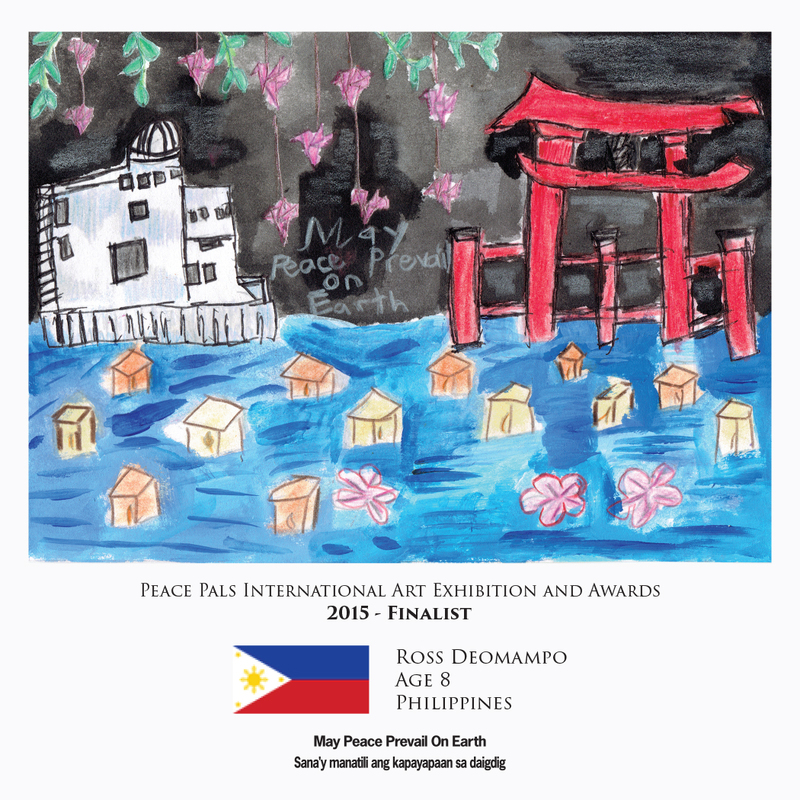 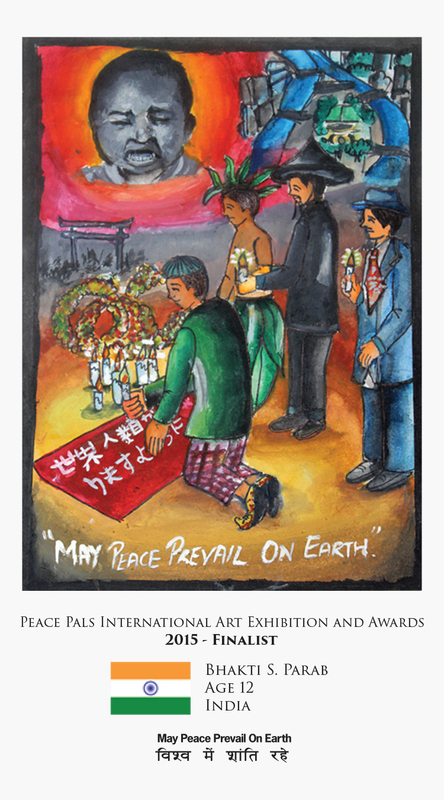 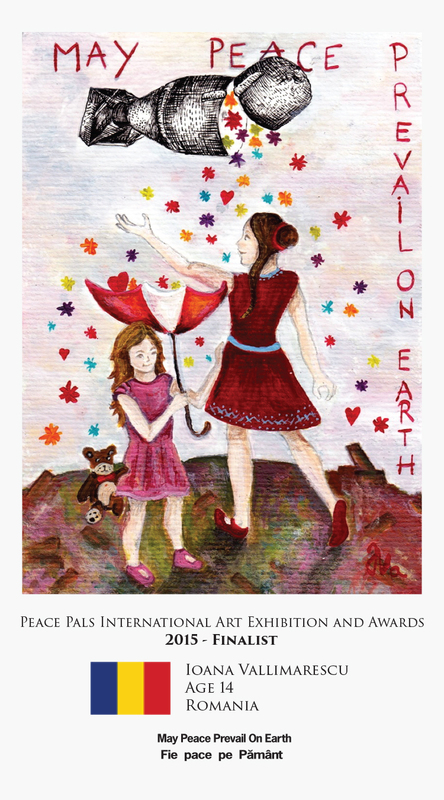 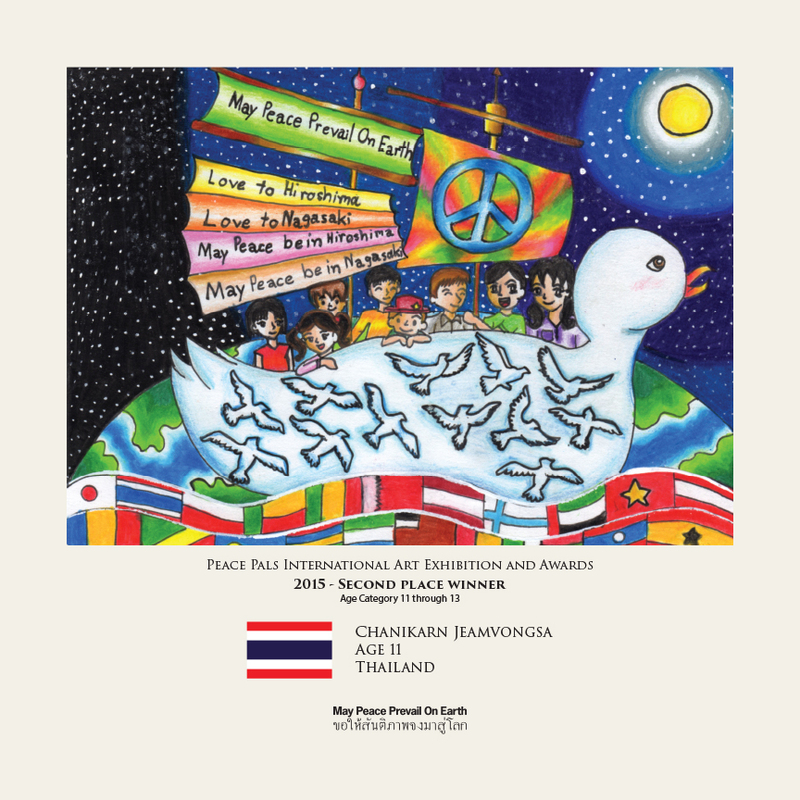 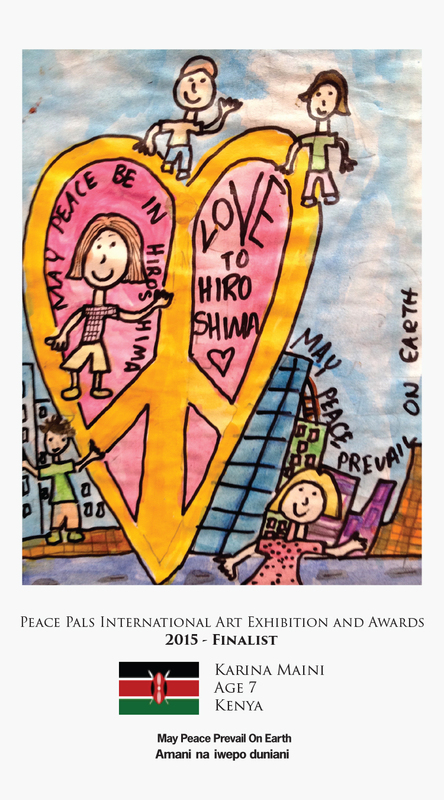 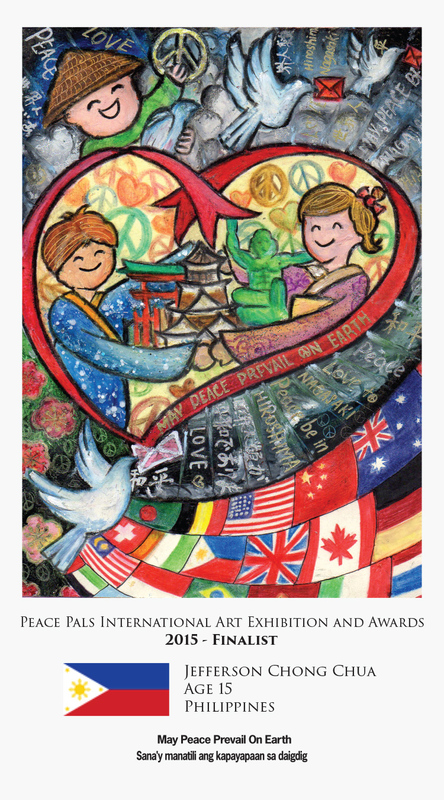 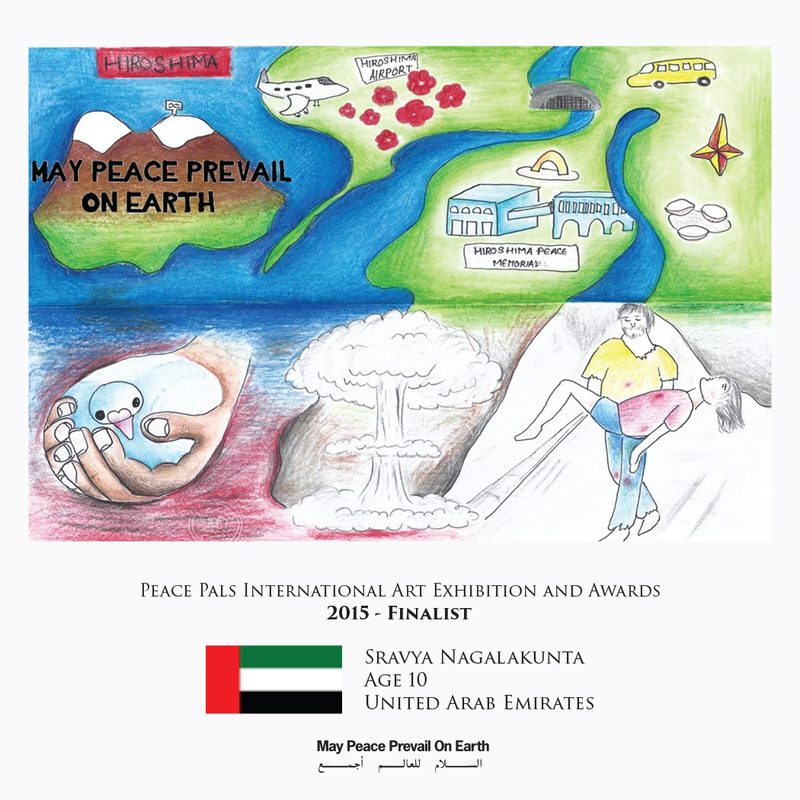 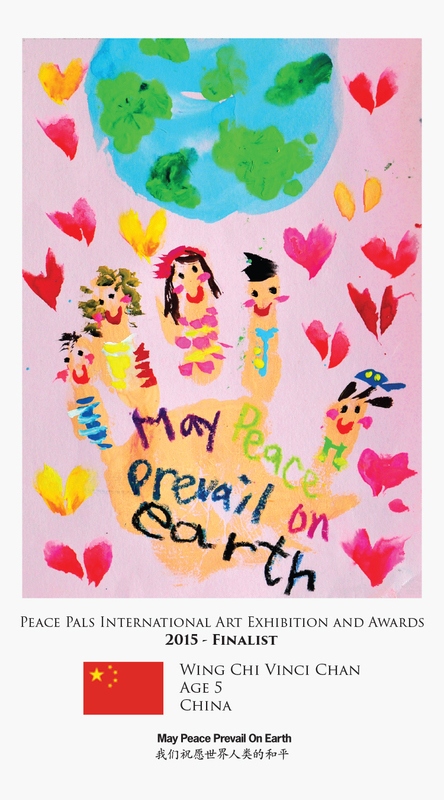 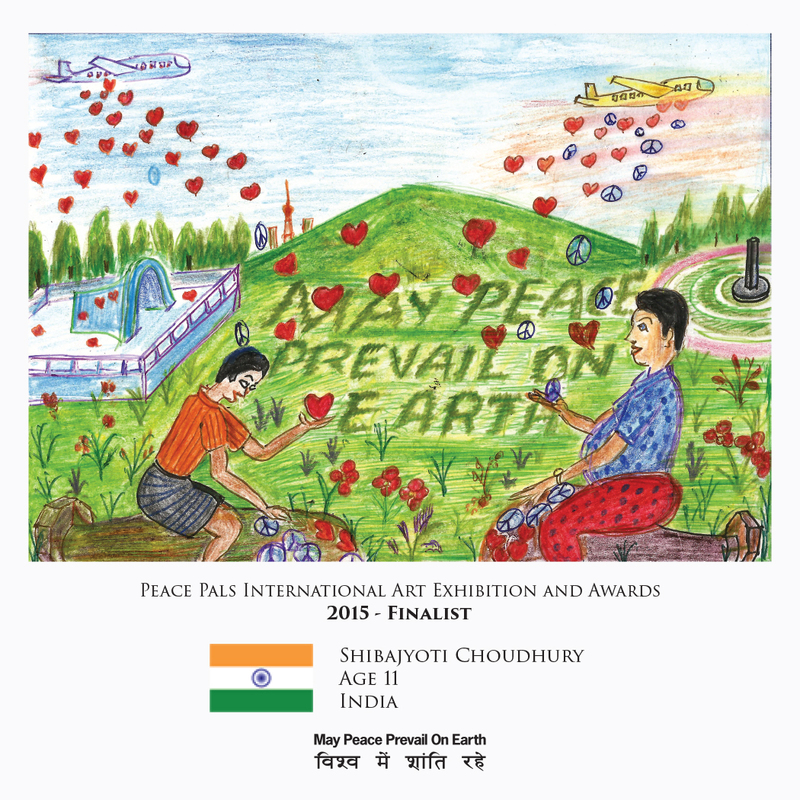 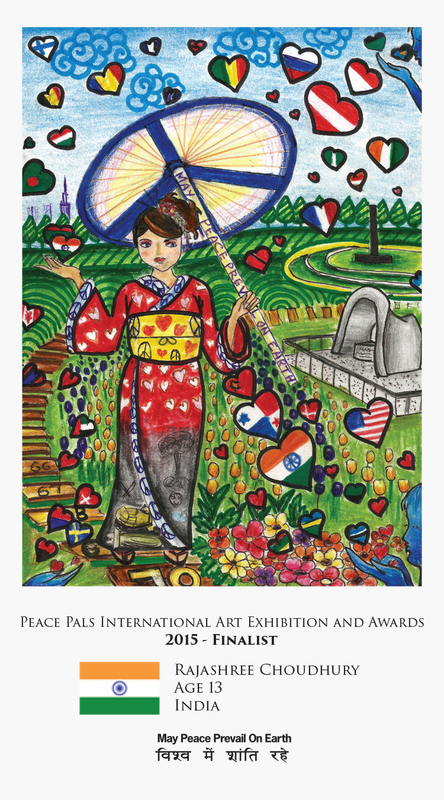 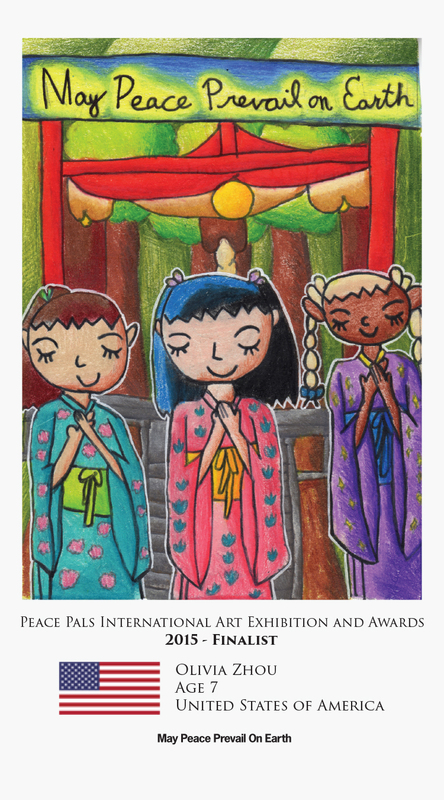 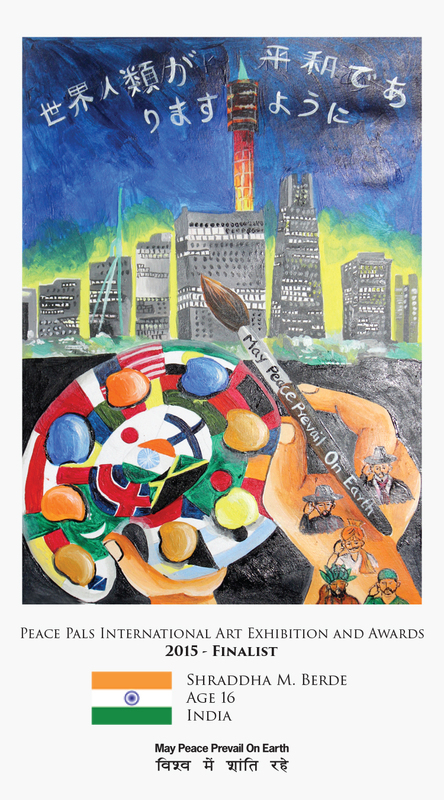 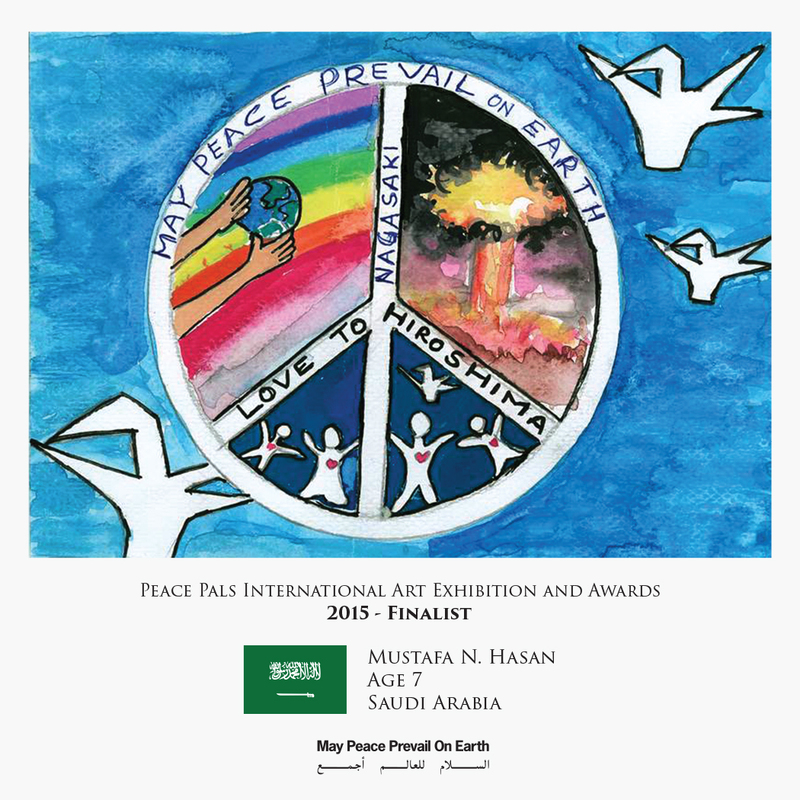 Announcing the Winners of the 2015 Peace Pals International Art Exhibition and Awards. 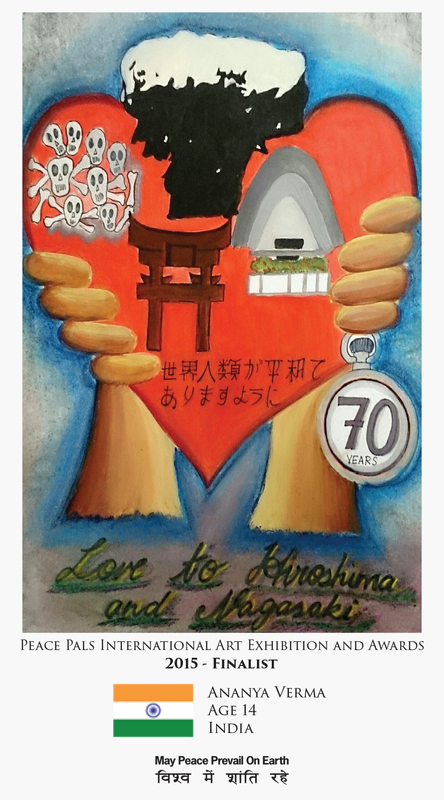 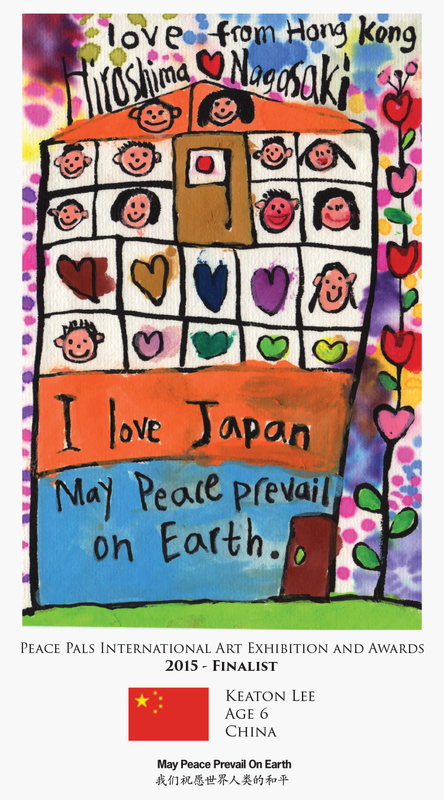 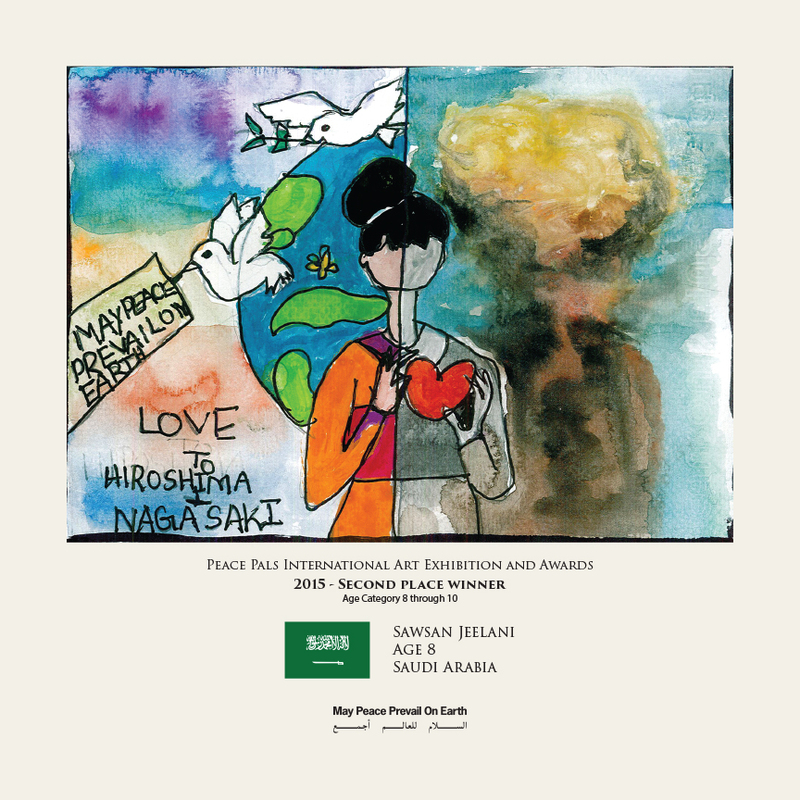 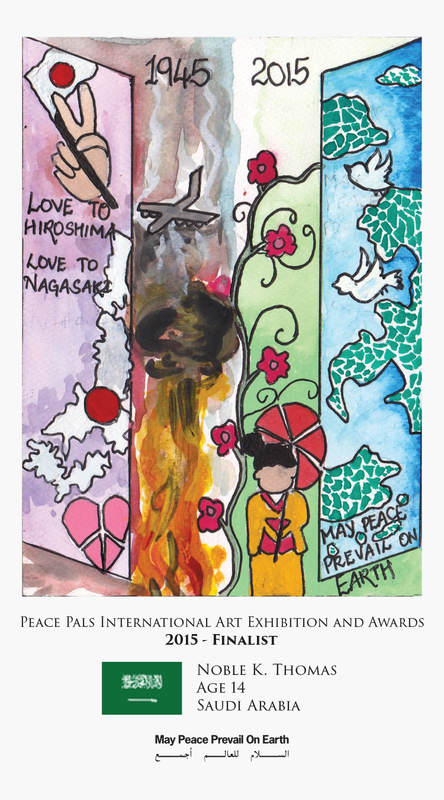 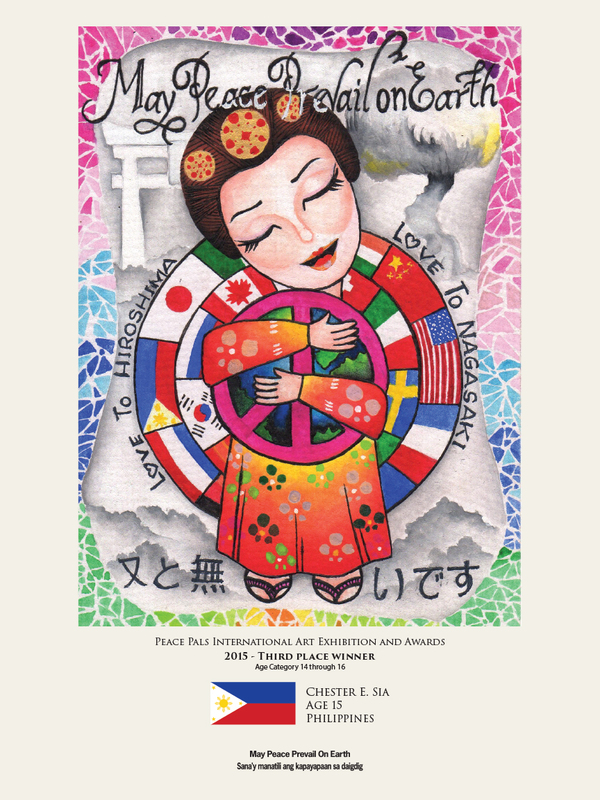 Theme for 2015: “Love to Hiroshima ~ Love to Nagasaki"
Shohei Tominaga - Director of WPPS Hiroshima Branch. 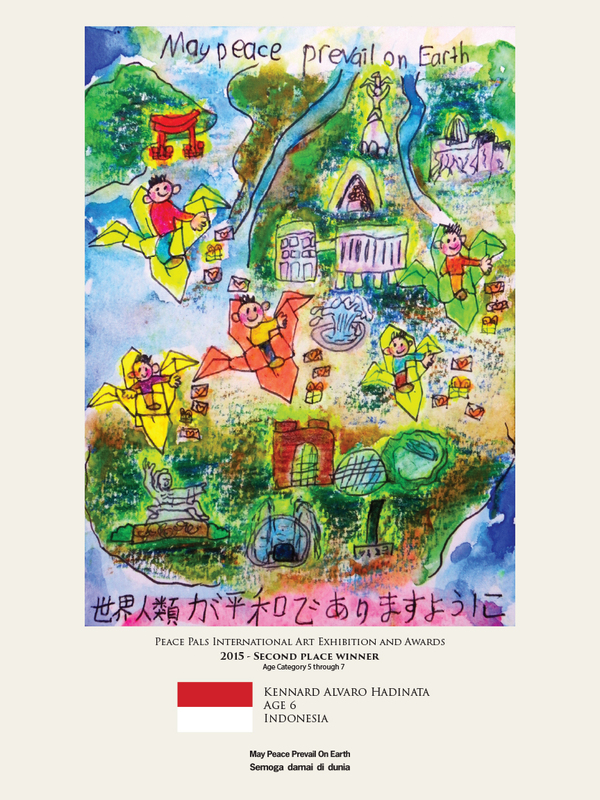 Hideo Nakasawa - Professor of German Literature and Philosophy, Tokyo University. 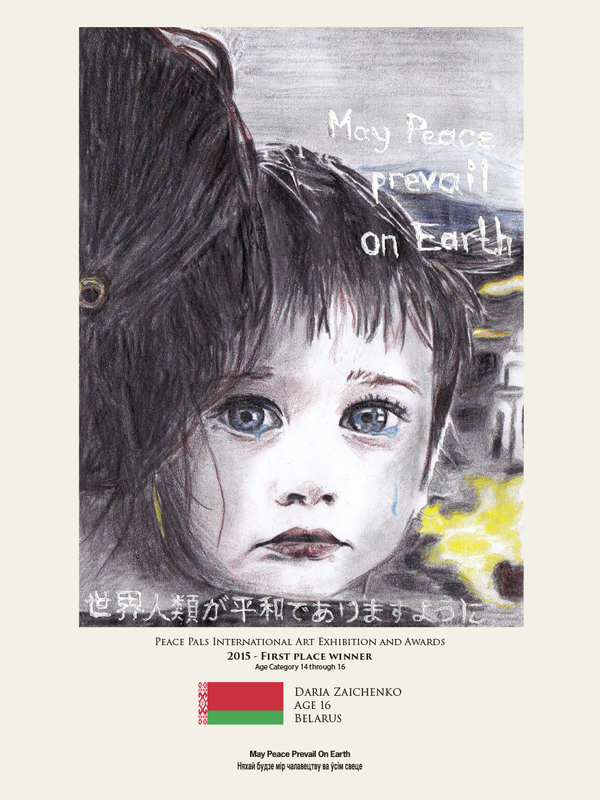 Toshiko Tanaka - Hibakusha and Glass Artist. 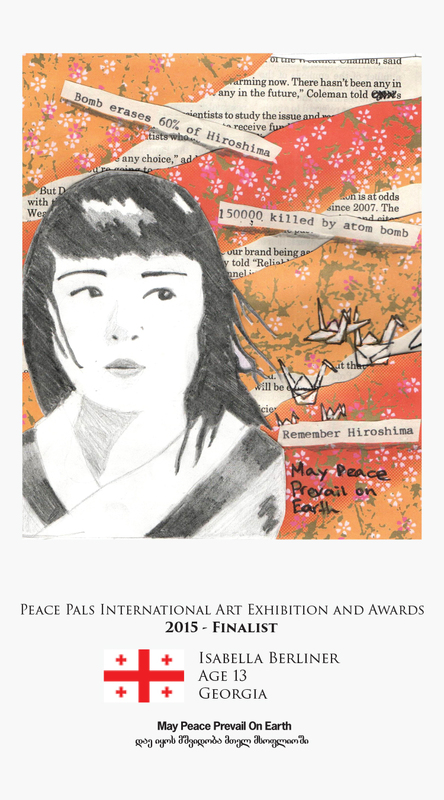 Keiko Nakamichi - WPPS Hiroshima Member. 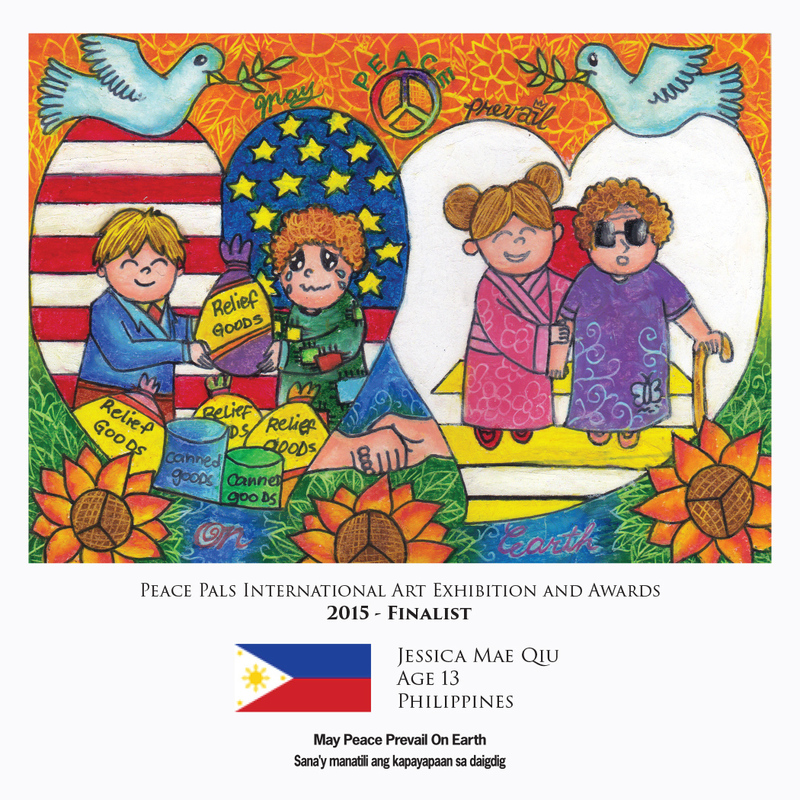 20 pieces of artwork were selected from each age category as FINALISTS with the top 10 Finalist being selected. 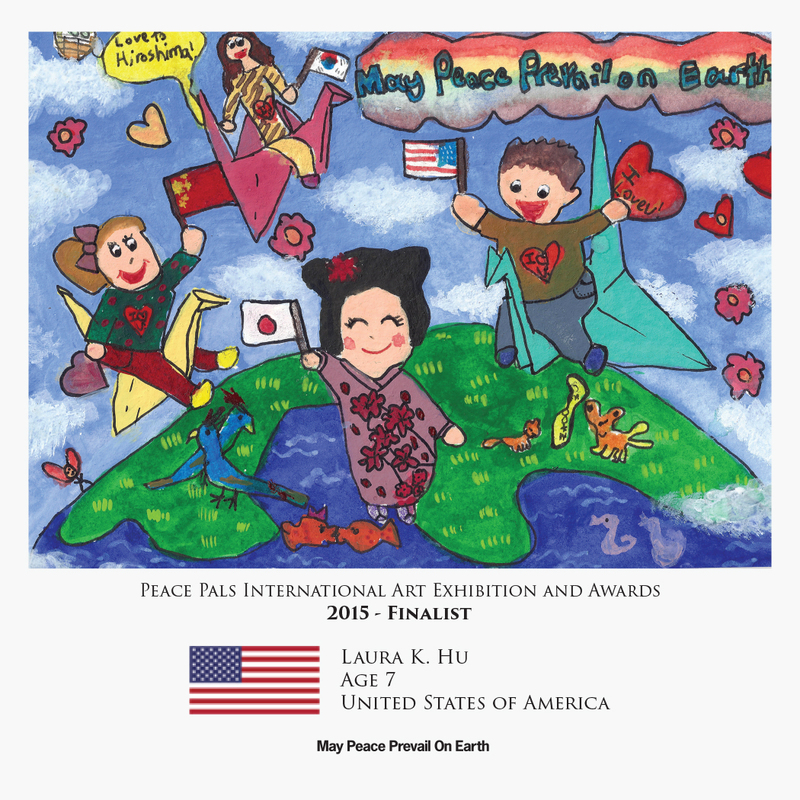 The first, second and third place winners were then selected by a panel of International Judges. 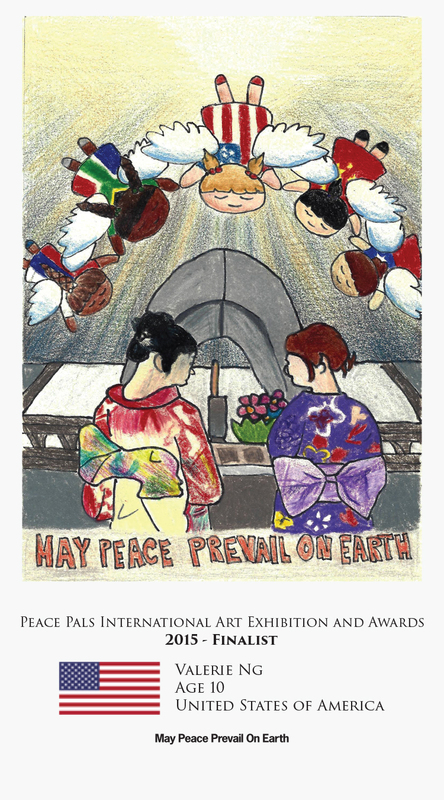 Members of The World Peace Prayer Society participated in the annual Lantern Floating Ceremony which took place on August 6th, 2015 along the Motoyasu River at the Hiroshima Memorial Peace Park. 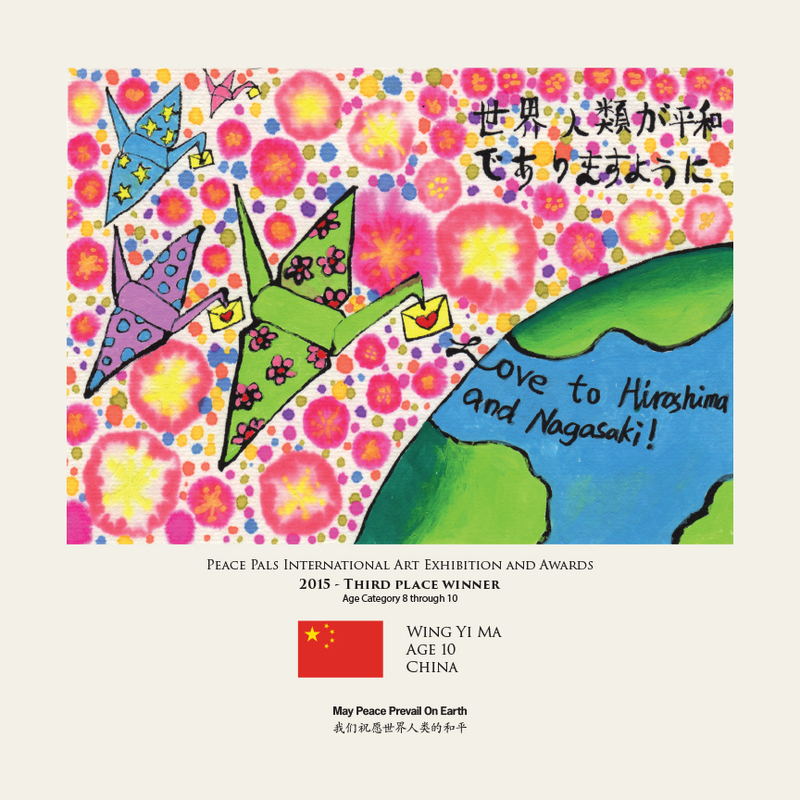 Every year on the anniversary day, over 10,000 lanterns are floated by people who pay respect to all the souls who perished during the atomic bomb attack along with their wishes for world peace. 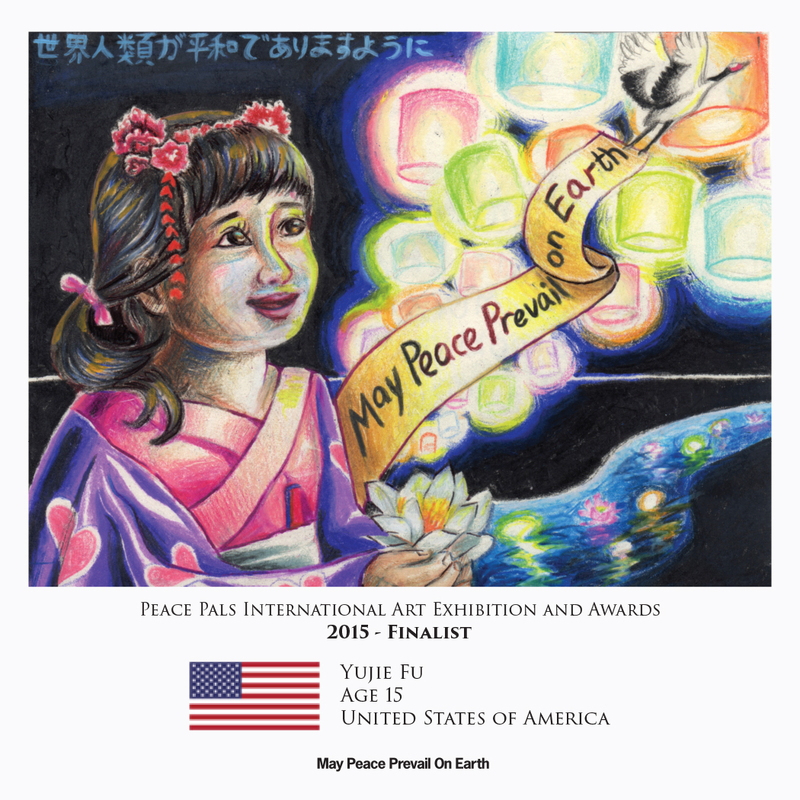 A “May Peace Prevail On Earth” lantern was set afloat on behalf of all WPPS members.